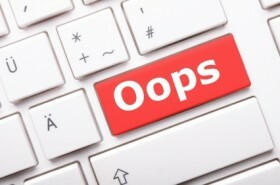 Does deleting emails protect your professional image? Hilary Clinton used a personal email account rather than her White House one. Now 10 Downing Street admits to automatically deleting its emails after 90 days. As a result some are suggesting that instant electronic messaging systems which self-destruct are the solution like SnapChat and Slack. But are they? For any technology to succeed and add value to the business, requires that users are properly trained. Sadly though, normally 80% of our time and budget is spent on the technology and its implementation and only 20% on providing the user with adequate skills to use it properly. How many of you have ever been educated to mange your use of email, little own deploy good email etiquette which would reduce the need to email ping-pong and email gaffs. In Mesmo Consultancy’s experiences it is less that 20%. So little wonder we often find ourselves confronted with consequences of an email we wish we had never sent. It is naive to think that we can delete an email. Once sent it is there for ever, either stored on a server as News International and Sony Corporation found to their dismay, or still in the recipient’s inbox. Far better is to adopt slow and quiet email. Think before hitting send. Reflect and ask yourself ‘what if someone found this email’. Without proper training and a change in organisational culture instant electronic messaging communications systems (like Slack and SnapChat) will be doomed to the same failure and disasters as our current version of email. Need help to change your email culture to make it work for, rather than against you? Call Mesmo Consultancy to hear how our email training has has helped others. Alternatively, watch our video on email etiquette.